I dreamt up this little idea myself (if there's a post on the internet sharing this idea already, I give my word that I never saw it) for Christmas actually. I made Zach a tie tack using this idea and then went a step further and had a necklace made for myself. 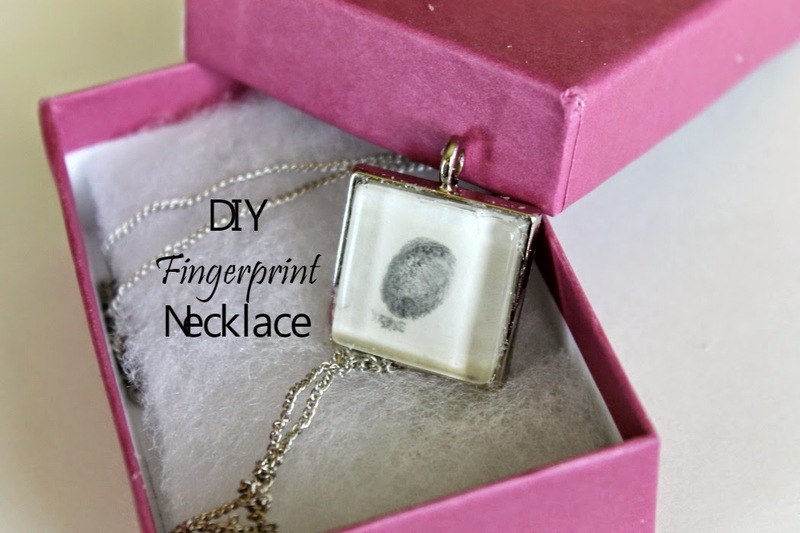 This simple fingerprint necklace is the perfect keepsake and will make a great Mother's Day gift for moms or grandmas. It can also be adapted to make a great Father's Day gift as a tie tack or even a keychain. 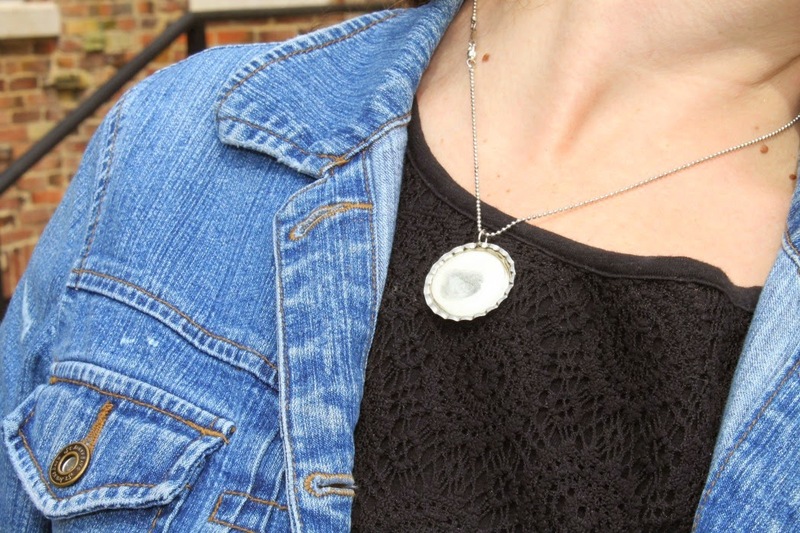 I love the simplicity of this necklace, but also love that I get to carry my daughter's tiny fingerprint with me and that makes this necklace quite special. 1. Begin by tracing a circle or square on your cardstock using the pendant or the "stone"
3. 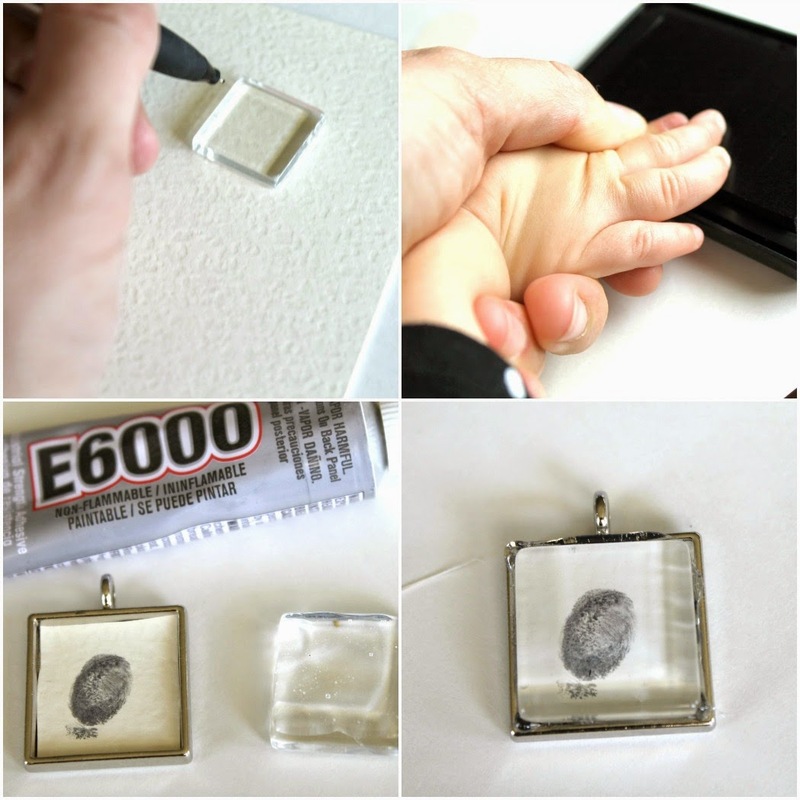 Dip your child's fingerprint in ink and press firmly on card stock. Remove as cleanly as possibly to avoid smudging or excess ink. 5. Press "stone" on top of the paper and hold firmly for 60 seconds. Your adhesive may be mostly dried at this time. If you're not comfortable, you can place something heavy on top or you can continue to hold firmly until it has dried. 6. Add your pendant to a chain or the back of a tack for a tie. 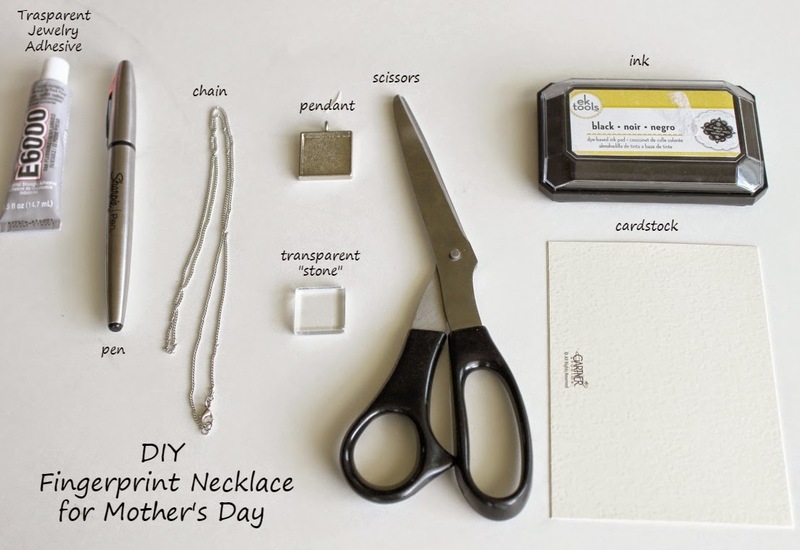 **Optional**I love the simplicity of this necklace, but it could be accessorized further with the addition of a gemstone or a letter charm for the first letter of the child's name. Each piece can be further personalized. What is your favorite way to receive a personalized gift from children?